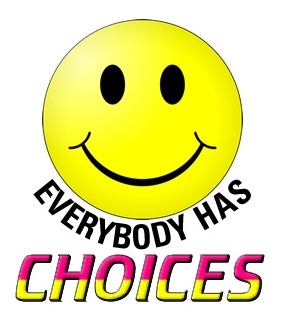 CHOICES is looking for an official CHOICES Theme Song reflecting the CHOICES message “EVERYBODY HAS CHOICES”. Prizes include entry pass to Dolphin Cove for winning group and a teacher’s prize if supervised. Must include the theme “Everybody Has CHOICES” and be developed around the concept of making good career choices. Lyrics must be clean, motivational and positive. Deadline for submitting details of entry – Thursday October 21, 2010 at 4p.m. Fill out an entry form and fax to 925-0804, email info@choicesonlinejm.com, mail to 100 Shortwood Road, Kingston 8, Jamaica or call CHOICES now. The contest will take place at CHOICES Get On Track For Career, Education & Life Seminar on Thursday October 28, 2010 at The West Jamaica Conference Centre, Mt. Salem, Montego Bay starting at 2p.m.. Entries will be recorded for You Tube, CHOICES website – www.choicesonlinejm.com and CHOICES blog – www.choosingtherightcareer.blogspot.com. All entries become the property of CHOICES. We reserve the right to pre-select entries for presentation on the day. If this is the case you will be informed. The contest will take place at CHOICES Get On Track For Career, Education & Life Seminar on Thursday October 28, 2010 at The West Jamaica Conference Centre, Mr. Salem, Montego Bay.